You are currently browsing the tag archive for the ‘Season 4’ tag. First of all, Happy Thanksgiving! I hope you enjoyed time with family and loved ones. Now, something has happened that I consider a personal failure. I’ve betrayed myself, and there is no excuse for it. I’m so ashamed…follow me though, lol. P.S. I’m updating from my phone. Aren’t I just savvy all around? Okay, so remember a while back – some time around April I believe – when I mentioned that I had a boyfriend? Well, it didn’t work out. He was, um, otherwise engaged…amongst a bunch of other Eminem stuff (Eminem…shady…see what I did there? lol). It is for the best; it lasted all of two months officially, even though we were seeing each other for about 10 months before then. The good thing is that my niece said it doesn’t count anyway because she never met him or knew his name…bonus! A friend of mine said, “Really? Two months? And weren’t you on a whole other continent for two of those months? So technically, it was a month and a week! I mean, wow…didn’t you know it wouldn’t work? I figured it wouldn’t.” (Most people did…only 3 ever said anything of the sort.) Now, this whole thing isn’t about him, but rather was a point that reminds me of something I was talking to my current beau about ( 😉 …hey babe *blush*), and a post on VerySmartBrothas about a cheating spectrum, and it got me to thinking about lying. It’s no secret that lies are one of the major dismembering factors in relationships, but are all lies created equal? My boyfriend and I were discussing how lies of omission are viewed because how deceptive they can be. I can say that this relationship has probably started the mostly honest-ly of any relationship I’ve ever been a part of, so we discuss a lot. And, because we started as friends (like seriously, I never would have seen it coming), there are certain aspects of our lives that we were privy to already as friends, so you can hold it back once it has moved to a relationship. My question becomes one of “Is there a magnitude or caliber of lying that is wholly seen as permissible, while the opposite end is likely to find someone in a hospital?” Samantha caught Richard eating another woman’s…er…sushi (“I Heart NY”, Season 4). She papered his neighborhood and threw a drink in his face………but ultimately returned to the relationship. I have another friend who found out her boyfriend actually gets off work 2 hours before he told her he did, and she ended the relationship and never looked back. When I asked why, her response was “If he is lying about this, then we are starting off with problems. I’m not about to stick around to see what the **** they are. If he needed two hours he couldn’t tell me about, what the hell was he planning to do with them?” Touche. I remember the moment I knew it wasn’t going to work with the person who can be commonly regarded as my ex. (But for future reference, if I say Ex on this blog, 9 times out of 10, I’m referring to the 5 year relationship of over a year ago…or whenever it was…yeah, a year.) It was way before I knew anything else was happening, and it was simple. A little before Easter, we were at his apartment watching “The Wood”. There is a moment in this movie where the two childhood sweethearts were planning to give their virginities to each other, but the only condom present ripped. The female instructed the main character to grab another one out of her brother Stacy’s room. Well, Stacy comes home with his girlfriend, he has to hide with the condom, the girl goes ballistic because there is a condom missing and she had counted his stash the last time she was there. Stacy couldn’t explain it to her, and they leave arguing. While we were watching, he said, “That’s so stupid. I would’ve just said, ‘I gave one to my homeboy, Boo. '” o_O. Our conversation after that was a continuous dialogue about the lying being wrong (or not), and I remembered that I brought it up to at least 3 groups of people. Now, granted, it was an interesting conversation starter, and everyone we discussed it with found it interesting. But honestly, I never let it go. The ease with which he created the plausible and logical lie always bothered me. Had I followed my gut in that moment, I probably would have experienced less drama (because the kid really doesn’t do drama). Richard Wright has plausible and logical lies. The woman he was meeting for lunch was a business associate. So where do you forgive, or just say forget it? My thing is, I don’t need to be performing mid-day secret ops in a wig and glasses before I decide we are NOT together. So what is your lying curve? Anything is a deal-breaker, or wait until it’s a bigger deal? Is not telling that you still talk to an ex on a semi-regular basis the same as planning your wedding while you have a date? Because it is all wrong. Let me know, lol. Man is not meant to live alone. It is also my opinion that man is not meant to be around the humans for 100% of his time either. I have been going at an accelerated pace for a few weeks now…rarely having time alone unless there was toilet paper present (Note: this can also mean shower…toilet paper is present in the same vicinity when you shower. Don’t just jump straight to the #2). This past weekend, besides climbing a mountain ( 😦 ), I had a bunch of plans. It was my friend’s birthday (Shoutout Danielle! Woooo! ), I had a soror in town, another friend’s birthday celebration, and was supposed to get together with a third friend later on. Well, to make a long story short, 3 out of the 4 events either did not happen, or did not happen as planned, which left me with a pretty free Saturday night. My first thought was to attempt to fill it with something else, but nothing worked. So, I went home. And sat there. And read. And slept. And it was fan-frickin’-tastic. We need that time alone. It’s that time that helps to replenish us. We get an opportunity to reflect or rest, pray or sing, or simply stare at our own cuticles for 30 minutes just because we feel like it. 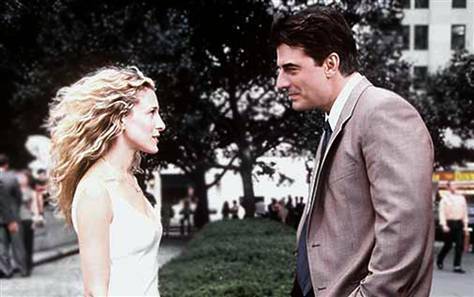 In Season 4 (“Just Say Yes”), Aidan moved in with Carrie after her apartment went co-op. 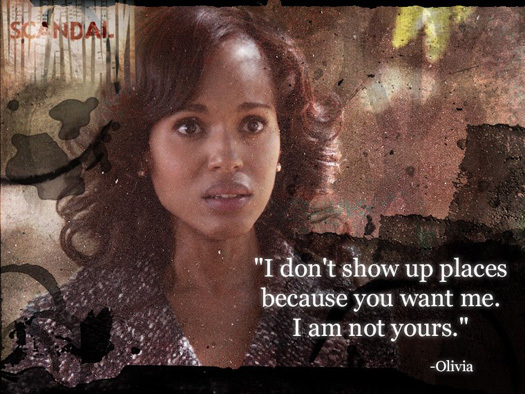 I’m willing to argue that she ultimately said yes because she had something to lose by saying no (her place to live). Ultimately, he wanted to marry her. Her initial response was ”I’m not ready to get engaged yet, but I love you and I wanna live with you.” Even once it happened, she still was not happy. She had an issue with his greeting technique. She had to ask for him not to talk to her when she walked through the door. She simply wanted to be alone. I may be going through that phase right now. Since I have had an opportunity to slow up a bit, I am perfectly content in my alone-ness. 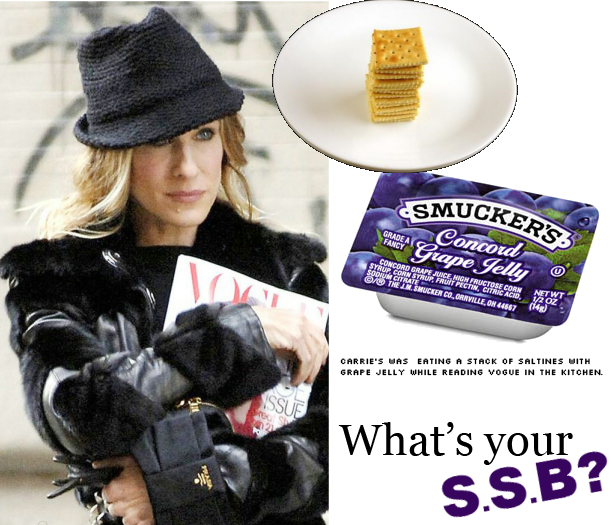 I get to do the things that you can only do when you are home alone: the SSBs – Secret Single Behaviors (Carrie discussed this in the next episode, “The Good Fight”). When discussing her own, she said, “I like to make a stack of saltines. I put grape jelly on them. I eat them standing up in the kitchen reading fashion magazines” (which, admittedly, is weird). For me, I like to walk through my house, straightening up in my underclothes. I can watch hours of youtube videos on how to do random beauty tasks, like fingernail designs or threading eyebrows (WHICH I have gotten pretty good at by the way). What do you think? And, what is your SSB? You know when you meet someone who is just “alright”? Intelligent enough to not make you crack jokes on him in your head while trying not to roll your eyes in real life; attractive enough to be seen with him in a restaurant; interesting enough to keep you laughing; all the while you are not foreseeing anything resembling seriousness. This does not, however, stop you fromt wanting to throw yourself at him on a random Tuesday for no apparent reason. It doesn’t even make sense to your own self. It happens to the best of us folks. I think I’ve figured it out possibly, maybe…well, not really. It’s because he has what we good old HBCU graduates call a “mouthpiece”. He knows how to string a few words together that sound good enough to be tempting, but not too much to get a “boy, please.” Whatever his thing is…aloofness, silliness, seriousness…he uses it just enough to pique your interest, and your mind does the rest. Carrie Bradshaw had several of these. Vince Vaughn played an “agent” who turned out to be a personal assistant, but had just enough game to rope her in. 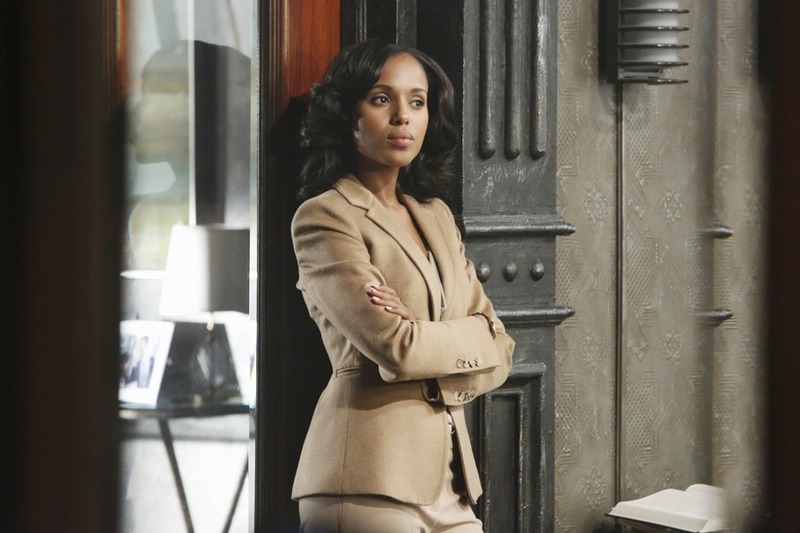 So did the politician in Season 2…until he wanted to pee on her. Noticing a pattern. Generally, this guy may have some issue that his game covers up. So ladies, be afraid…be very afraid. Trust me…I know. I’m pretty sure that most people would agree that Big was probably the guy on the show who was the least understood. His logic was not Carrie’s (or anyone else’s for that matter). The only close second was Berger, but we knew what his issue was. It was more obvious that Big’s. Big’s issue was so slick, we weren’t sure it was there at all. Now don’t get me wrong, I do not want men to become women, expressing their emotions and shortcomings at every given turn (women don’t even go that far, I hope). However, I would like to know what is the fear with being a little more open? A smidgen, even? It’ll probably help you out too…all of that posturing has to get tiring at some point. “Cool Pose” and all that.